Artist Ed Ruscha Named in Time's 100 Most Influential People List - Yo! Venice! 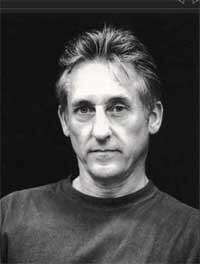 Artist Ed Ruscha has been named one of Time Magazine’s “100 Most Influential People in the World” for 2013. Ruscha’s art studio was located in Venice at 1625 Electric for twenty-six years, until April of 2011, when he was forced to relocate to Culver City to make way for a City Parking lot. For half a century, Ed Ruscha has been the faux-naïf funnyman of American art, posing smart riddles about what we think we know. In 1956, right after high school, he drove from Oklahoma City to Los Angeles to help gestate the West Coast division of Pop Art. Certainly the photo books of the 1960s that first made his name, like Twentysix Gasoline Stations and Every Building on the Sunset Strip, were Pop-inflected — deadpan inventories of the inconsequential that made banality weirdly captivating. But like a SoCal Magritte, Ruscha wasn’t interested merely in everyday things but also in the shaky systems of understanding they rested upon. Above all, he loved to sabotage the presumptions of language, picturing words on canvas crushed, liquefied and otherwise set in play. From those canny works alone, a whole generation of conceptual artists, from Bruce Nauman to Christopher Wool, scored ideas. But even if Ruscha never met a word he couldn’t unsettle, let’s hang on to the one we need sometimes to describe him: genius.